It does (see Google’s Impressive “Conversational Search” Goes Live On Chrome), but it had only been doing it really within its Knowledge Graph answers. Hummingbird is designed to apply the meaning technology to billions of pages from across the web, in addition to Knowledge Graph facts, which may bring back better results. We don’t know. There’s no way to do a “before-and-after” ourselves, now. Pretty much, we only have Google’s word that Hummingbird is improving things. 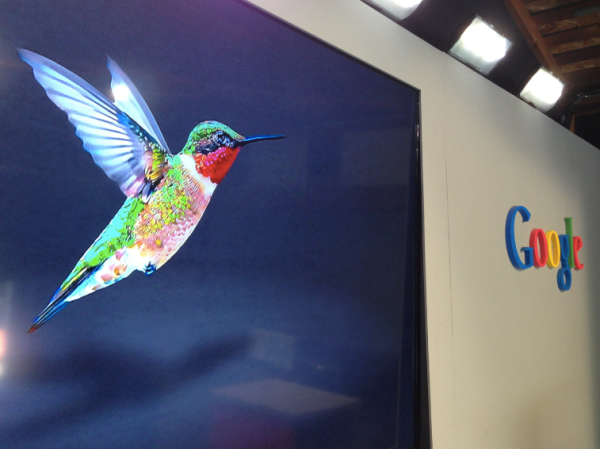 However, Google did offer some before-and-after examples of its own, that it says shows Hummingbird improvements. A search for “acid reflux prescription” used to list a lot of drugs (such as this, Google said), which might not be necessarily be the best way to treat the disease. Now, Google says results have information about treatment in general, including whether you even need drugs, such as this as one of the listings. Postscript: See our follow-up story, Google’s Hummingbird Takes Flight: SEOs Give Insight On Google’s New Algorithm. Arun Kumar Singh. Powered by Blogger.